Earl Grey from our own Kaimosi Farm in Kenya This fragrant tea lingers in the mouth with the subtle aroma of Mediterranean Bergamot oranges and the delicate taste of teas grown on our Kaimosi farm combining to produce our iconic Earl Grey. 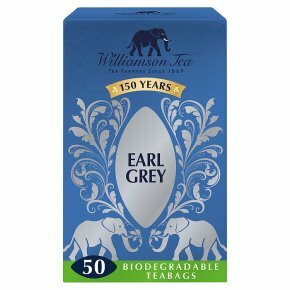 To enjoy Williamson Tea at its best add the teabag to a pot or cup, pour on freshly boiled water and allow to infuse for two minutes or longer to suit your taste. Grown on Williamson's farms and packed in the U.K.